Our San Antonio office staff understands the importance of recycling! When Phil Johnson found out there was no municipal system available for recycling at our office, he devised a plan to recycle in the face of adversity.Phil brought every employee a recycle bin for their desk. Staff then collect and place the materials in their residential recycling bins. The process is a team effort, generating a total of 50 pounds of recycling each week! The primary recycled materials are paper and plastic cylinders. Keep it up San Antonio! This past Saturday was the 22nd Annual Trinity River TrashBash in Fort Worth and Alpha’s Robert Boone was at the 4th street trailhead site, just east of downtown. The TSPE Fort Worth Chapter notified Robert of the event. Community service has always been a part of his life, so he agreed to boldly go where none have gone before. Robert grabbed a trash bag and went to work, and is fully expecting additional Alpha support next year! 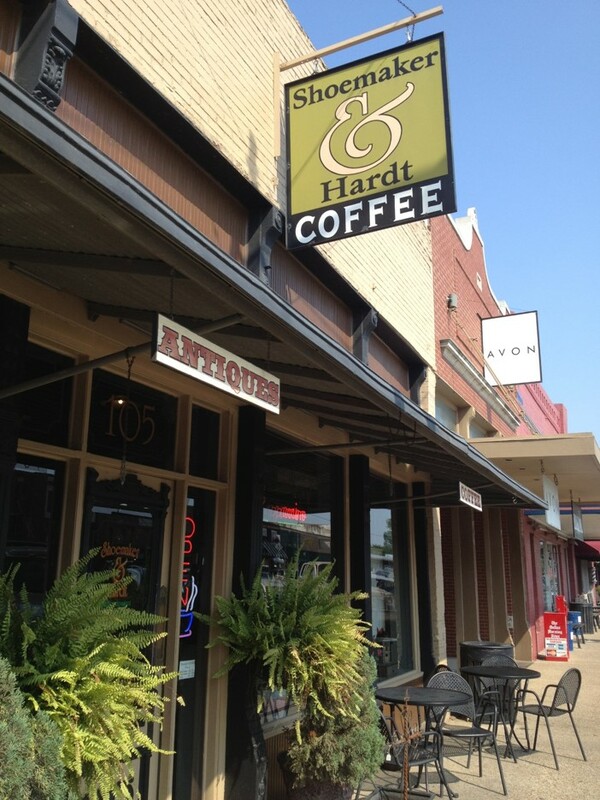 Staff has found two reasons to frequent the “Shoemaker &Hardt Coffee House and Country Store” on N. Ballard Street in Wylie, TX. 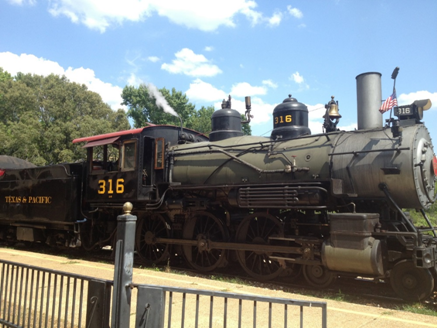 The location has business week appeal as it is centrally located when work takes you to Wylie. The weekend appeal includes great coffee and a chance to peruse local collectibles and trinkets – like you have never needed a last minute gift? Paul Muller claims to have both personality and charisma, but Stanley steals the show! 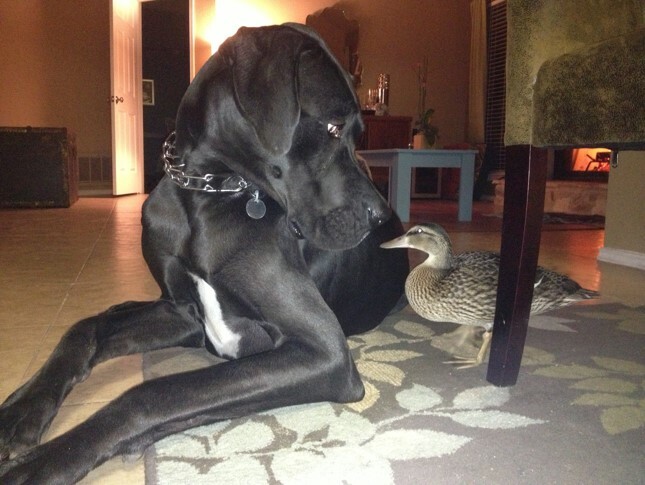 Stanley is a Great Dane with a great heart. His sidekick, Gus, came to the household as a (tiny!) 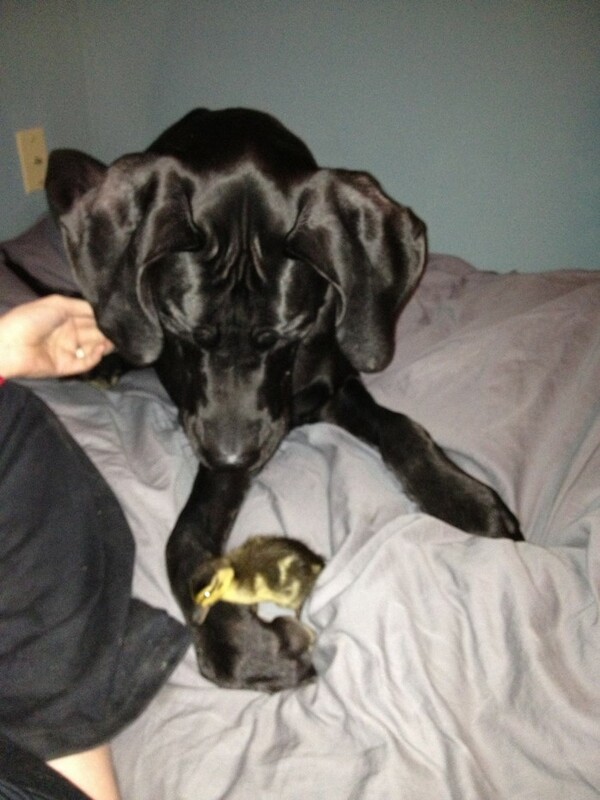 rescue duckling, and the two formed quite a bond. Gus has gotten large enough to be released at a local park, but still comes out of the water to greet Stanley when he visits. Paul and his wife make a habit of rescuing all manner of wildlife – having boarded dogs, cats, squirrels, raccoons, birds, pigs and even the odd skunk or two. Yeah, try finding a foster home for some of those! They take pride in the results of the Muller Zoo, and enjoy the permanent zoo residents Stanley, Dave the Lab, and Delilah the cat! The Alpha Testing Fort Worth office is getting a well-deserved expansion and facelift. Expanding into an adjacent space, we are adding new offices and a conference room, as well as making modifications to the entry area. The expansion is about a 50% increase in space for operations. Can’t wait to see the finished product!